Hi everyone, we’re writing this post with heavy hearts to let you know that we are making the tough decision to shut down Electroloom. The bottom line is that we simply do not have the financial ability to continue supporting the company. We were previously funded through a mixture of venture capital and government grants. Despite our best efforts (for over one year), we have been unable to raise a new round. We have made big changes throughout 2016 in hopes of reducing our burn rate, but without additional capital, we are unable to keep the company afloat. We suffered a lot of problems and mistakes that led us here, perhaps too many to outline in detail. The reality is that a lot of events factored into our inability to raise: slow technical progress, significant scientific risk, a lack of an MVP, and a poorly defined market opportunity. Although it is difficult to say goodbye, we recognize that we have learned a great deal. One thing that stands out as obvious from our experience running Electroloom is that people are hungry for and believe in dramatic changes for the apparel industry. Whether it is to help people express themselves creatively through new and powerful design tools, or to help implement more sustainable manufacturing methods, we have seen the emergence of a new segment of people who care about the future of textiles and clothing. We feel quite fortunate to have played a role in this global conversation. The vision we have does not end here. There are other incredible ventures in this space that are actively working on changing the landscape of apparel and manufacturing. We wanted to provide a brief list of some of the projects we find to be pretty stellar, in hopes that you continue to stay tuned-in to the industry. Kniterate: A 3D Knitwear Printer. This crew got their start around the same time that we did several years ago, and we’ve been keeping in touch. Their demos are super impressive and they are going to have exciting announcements in 2016 and beyond. Disney: Check out their video regarding building a compiler for industrial knitting machines. Their software might power future on-demand apparel manufacturing tools by translating digital designs into physical goods. Unmade: Their quote says it best. “We hold no stock — nothing exists until you place your order and the production process begins.” They use industrial knitting machines to produce unique, customizable clothes that are made-to-order. 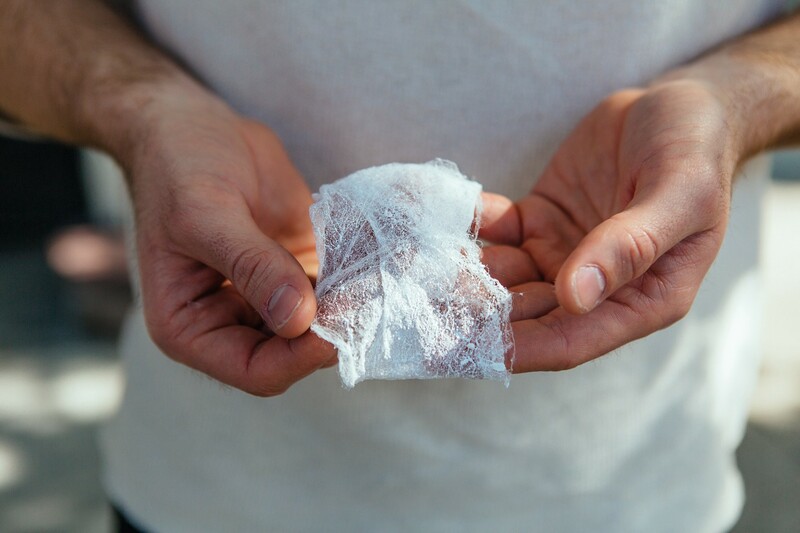 Ambercycle: We had an awesome conversation with the founder regarding their polyester recycling process. This has the potential to recycle waste polyester so that it is virtually indistinguishable from virgin polyester. Bolt Threads: Working on scaling up a new method for manufacturing silk thread. This opens up an exciting world of material properties for apparel. JUST: Accumulating detailed environmental and manufacturing information of brands in hopes of making the apparel industry more transparent and accountable. They list the pros and cons of some of the world’s largest brands. We would like to thank each and every one of you for supporting us on this journey. To our advisors, investors, mentors, and employees: thank you for your guidance and for believing in us. To our backers, customers, and supporters along the way: we can’t put into words how appreciative we are of you. Please don’t hesitate to reach out to us at founders@electroloom.com if you have any lingering questions. Writing, designing, and attempting to make a difference. Co-founder at @VueGlasses. Previously @Electroloom.